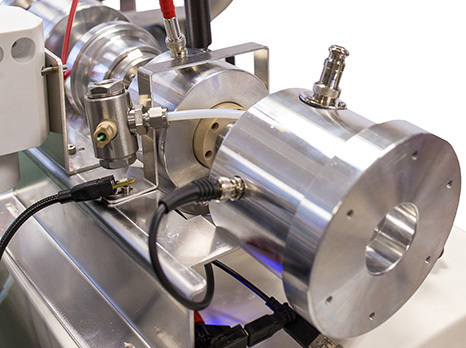 The Half-Mini DMA is the most recent and lightest (3.2 kg) member of a class of Yale-developed supercritical DMAs, later improved by SEADM, able to isolate with high resolution aerosol particles as small as 1 nm (including molecular ions). 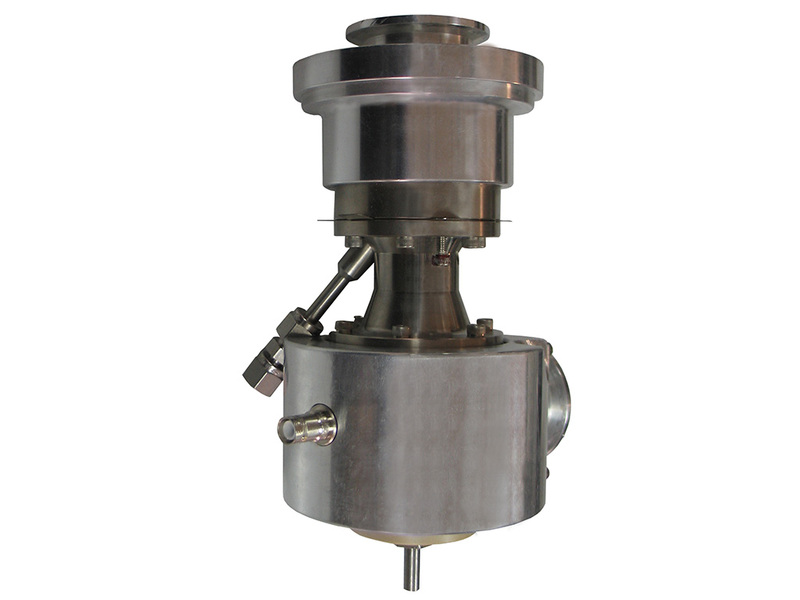 Its broad range of particle sizes (1-30 nm) is achieved with a single DMA configuration (2 cm long working section), greatly simplifying operation. Two Half Mini systems are available: the renowned (m) model and the brand new (p) model offering extended high resolution range. 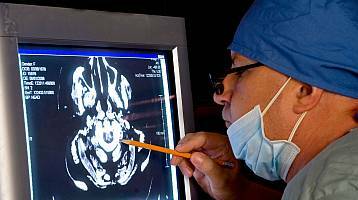 Acquisition of fast size spectra: A key advantage of the Half Mini DMA over other existing DMAs is its ability to complete mobility spectra exceptionally fast without distorsion of the size distribution. This advantage is due in part to the minimal particle residence time in the classification region (0.2 -2 ms), as well as to the high resolving power of the instrument (which yields almost the same residence time to all particles over the whole size range). Undistorted size spectra from 1 nm to 30 nm can therefore be obtained every 2 s [Fernandez de la Mora, Aer. Sci. Tec., accepted, Jan-2017]. Size distributions of T.H. 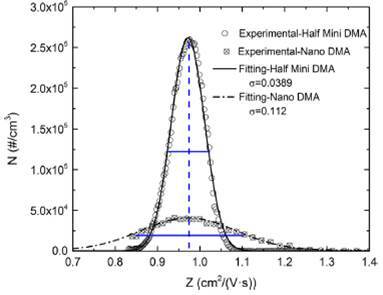 Ammonium Bromide (THAB) ions obtained with Half Mini and Nano-DMA in an indepedent study (Wang et Al, see Ref. 2014). Note the higher resolution of Half Mini enabling to identify all ions present in the sample. 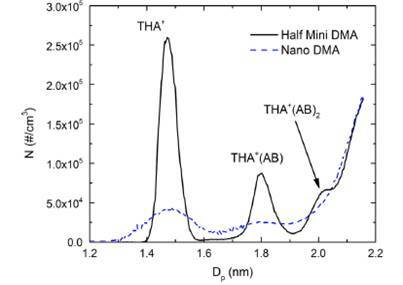 Mobility spectra of the THA+ monomer measured with the Half Mini and with Nano DMA. The resolution, defined as the ratio Full Range/FWMH is almost three times bigger for the Half mini . 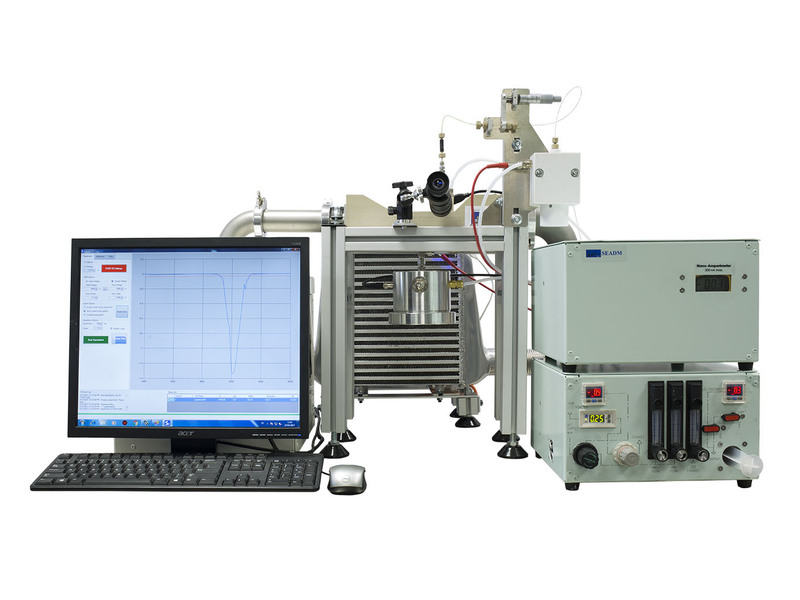 The instrument has been widely used for studies of Condensation Particle Counters (CPCs) sensitive to particles smaller than 3 nm, and other investigations involving pure nanometer size standards. For users having a charge-reduction component (not provided by SEADM), the increased size range of this DMA (relative to earlier supercritical DMAs) permits high resolution analysis of charge-reduced biomolecules and small viruses produced by electrospray. Synthesis of nano-particles via gas or wet techniques (Ref. Wang, 2014 and 2015). 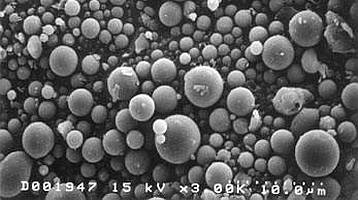 Nano-particles applications: medical imaging, drug delivery, catalysis, etc. 2nd European conference on road transport research projects results, Etterbeek (Belgium), Nov 2018. Cai R., Attoui M., Jiang J., Korhonen F., Hao J., Petäjä T., Kangasluoma J. Aerosol Sci. Tech. (2018) 52 (11), 1332-1343. PMP 48th session of UNECE, Ispra (Italy), Nov 2018. Papaioannou E., Zarvalis D.,Melas A.D., Baltzopoulou P., Konstandopoulos A.G., Zamora D., Burtscher H., Fierz M.
The second edition of FORM Forum, Brussels (Belgium), Oct 2018. 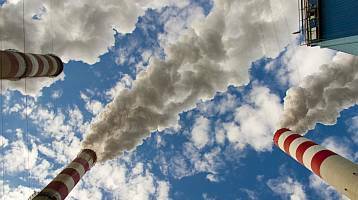 1st joint workshop on Measurement and characterisation of nanoparticle emissions from powertrains, Thessaloniki (Greece), Oct 2018. 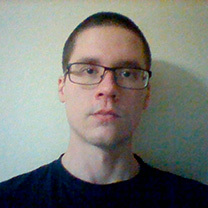 Kangasluoma J., Ahonen L. R., Laurila T. M., Cai R., Enroth J., Mazon S.B., Korhonen F., Aalto P. P., Kulmala M., Attoui M., Petäjä T.
J. Aerosol Sci. (2018) 124, 1-9. Amo-González M., Barrios-Collado C., Delgado R., Fernández de la Mora J. AT 2018, Bilbao (Spain), Jun 2018. Fernandez de la Mora J., Amo-Gonzalez M., Barrios-Collado C., Del Castillo, J.C., Konstandopoulos A.G., Baltzopoulou P., Vlachos N.D.
Half-mini DMA modification for high temperature aerosols and evaluation on various combustion exhausts. European Aerosol Conference. 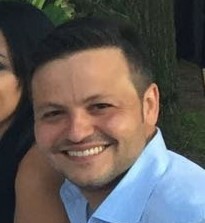 August (2017). J. Aerosol Sci. (2016) 100, 91-96. Attoui M., Paragano M., Cuevas J., Fernandez de la Mora J. “Tandem DMA Generation of Strictly Monomobile 1–3.5 nm Particle Standards” Aerosol Science and Technology,(2013) 47:499511. 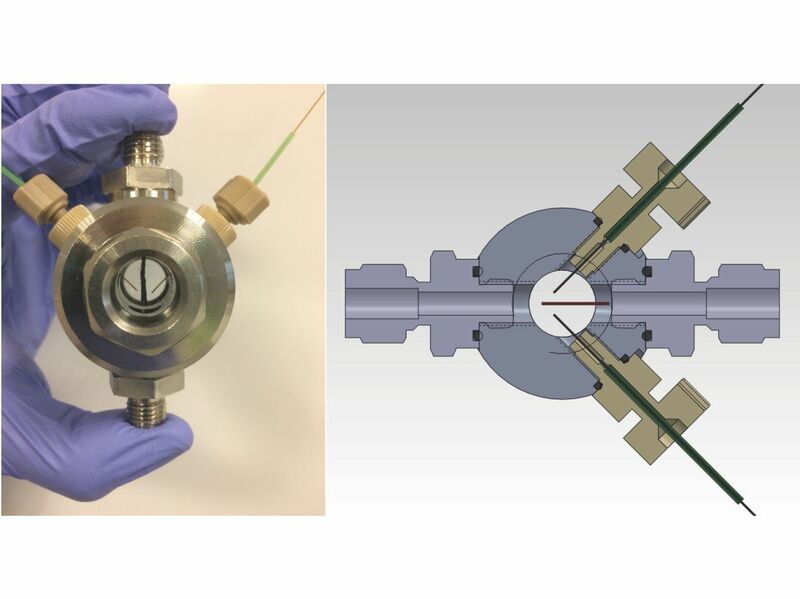 Fernandez de la Mora J., “Expanded size range of high-resolution nanoDMAs by improving the sample flow injection at the aerosol inlet slit” (Nov-2017). 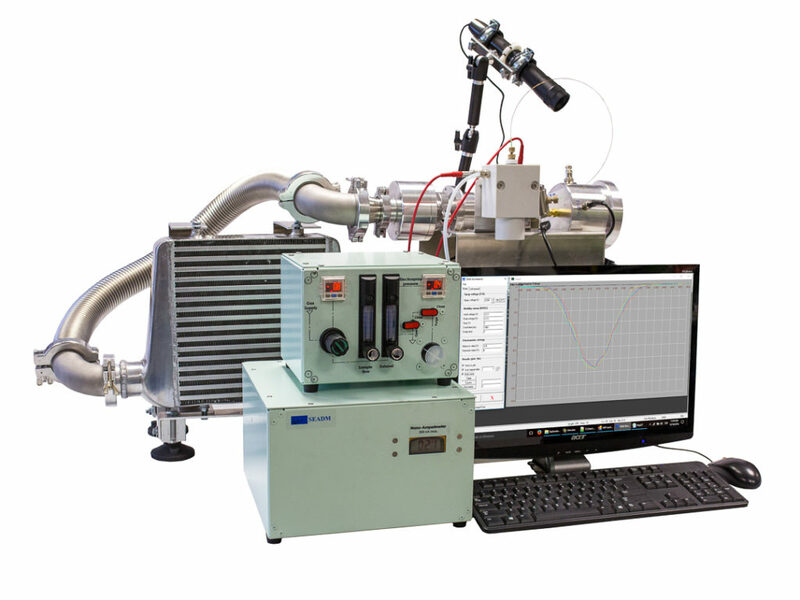 Fernandez de la Mora J., Perez-Lorenzo L.J., Arranz G., Amo-Gonzalez M., Burtscher H., “Fast high-resolution nanoDMA measurements with a 25 ms response time electrometer” Aerosol Science and Technology, Pages 724-734. (Mar-2017). Phys. Chem. Chem. Phys., vol. 16, no. 15, pp. 6968–6979, Feb. 2014. Kangasluoma J., Kuang C., Wimmer D., Rissanen M.P., Lehtipalo K., Ehn M., Worsnop D.R., Wang J., Kulmala M., Petäjä, “Sub-3nm particle size and composition dependent response of a nano-CPC battery” Atmospheric Measurement Techniques, (2014) 7, 689–700. Wang Y., Liu P., Fang J., Wang W.N., Biswas P., “Kinetics of sub-2 nm TiO2 particle formation in an aerosol reactor during thermal decomposition of titanium tetraisopropoxide”. 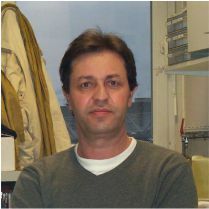 Journal of Nanoparticle Research March (2015), 17:147. Allow charge reduction for the study of clusters.